How Can Our Personal Injury Attorneys Assist You? If you’ve been injured or had a loved one’s life wrongfully cut short, you are entitled to help and compensation. There are many different types of personal injuries, and our experienced injury attorneys have fought through every one of them. You don’t have to go through this alone, the Lapeze & Johns lawyers are committed and personally involved in every injury case ready to fight for you at every turn. Don’t wait until it’s too late, call now to get a free case evaluation. People can suffer damages in personal injury cases in a variety of ways. Whether searching for an accident lawyer or wrongful death attorney, our firm is structured to handle all types of personal injury cases. With a personal touch on every case, Lapeze & Johns is well-equipped to represent you as a client. Although riding a motorcycle comes with inherent risk, you should not be expected to accept injuries at the negligence of other drivers on the road. Whether you’re on a motorcycle or in a car, every driver deserves justice for their injuries. Find out how our Houston personal injury attorneys will fight for you, to get you the help and compensation you need. Truck accidents often refer to collisions with commercial trucking vehicles or 18 wheelers. These sometimes fatal collisions can be caused by a negligent driver or their employer. Our firm has consistently secured compensation for victims from responsible parties through aggressive and smart lawyering. Find a personal injury lawyer who is truly personally involved at Lapeze & Johns. Automobile accidents happen everyday. It is important to act quickly and contact an aggressive injury lawyer as soon as you have suffered an injury, especially if it was at the hands of another driver. Due to the frequency of automobile accidents, injuries are often discounted by outsiders or defending parties. However, you are not just a case number and the dedicated lawyers at our firm will treat you as the unique person you are- taking care of you every step of the way. Our attorneys are able to represent you on either the plaintiff or the defendant side in various types of environmental litigation matters. 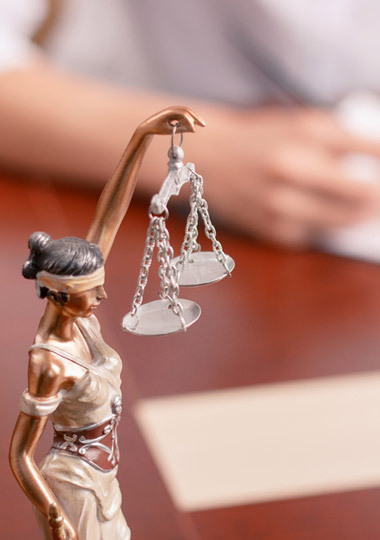 Claims in these areas of practice are best handled by experienced hard-working attorneys like us- and we are always standing by, ready to fight for you. Our law firm handles the full spectrum of commercial disputes, including issues involving breach of contract and misrepresentation claims. Our attorneys’ backgrounds at the largest and most prestigious corporate law firms in the country provided them with the training, experience, and skills to successfully litigate almost any commercial dispute. Call us to speak with a lawyer about a free case evaluation. We can help whether it’s an issue between companies or individuals. The oil and gas business in Texas has become a huge industry, to the point where oil and gas companies now employ a large percentage of Texas residents. As such, oilfield personal injury claims have become more and more common. If you have been injured on an oilfield or while working in the oil and gas industry, don’t wait to seek compensation for your injuries. Whatever the nature of the injury, our lawyers approach is the same — be aggressive, be smart, and win. Our Houston personal injury attorneys have helped hundreds of individuals and families whose lives have been impacted by an industrial injury. Unsafe plant conditions, negligent operators, or defective equipment can all be at fault, and we know how to fight for you against any opponent. Our attorneys have successfully represented industrial workers throughout the state and region, and we are ready get you the help you deserve. What areas and scenarios does personal injury law cover? In general, personal injury law covers incidents where a victim is injured due to the wrongful conduct of another, including equipment failures and product defects. Call our office today for a free case evaluation and get started on your fight for justice. How do I know if I can make an injury claim? There is no simple answer for this – your best bet is to contact an injury lawyer as soon as possible to see whether you have any legal recourse. Our attorneys will examine the facts of your case and help you determine the best course of legal action. What kinds of motor vehicle accidents are covered in personal injury cases? Our Houston personal injury attorneys cover car accidents, commercial truck accidents, motorcycle accidents and any other motor vehicle or automobile accidents. From personally owned vehicles to business and industrial vehicles, we are able to fight for you in all areas of motor vehicle accidents. Do I need to have insurance to file a personal injury claim? The existence of insurance does not determine whether or not you can seek justice. While you may not need insurance, this question is always best answered by providing details of your particular situation to one of our lawyers. Regardless of insurance issues, if you’ve been injured in any sort of accident you are entitled to compensation for your expenses, and the Lapeze & Johns lawyers are here to help you fight for it.